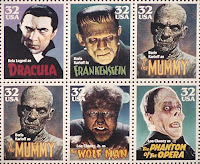 Universal Studios, founded in 1912 by Carl Laemmle, was the first studio to invest in cinema horror. It’s not an exaggeration to say that they invented the genre. 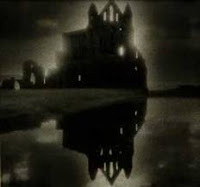 During the silent era of the 1920’s they had great success with Lon Chaney, the first real horror star, in “Phantom of the Opera” and “The Hunchback of Notre Dame”; and with director Paul Leni’s “The Cat and the Canary” and “The Man Who Laughs”. However, in the 1930’s due to a combination of excessive nepotism (Papa Laemmle gave jobs to scores of relatives, on top of giving control of the studio to his son as a 21st birthday present) and over-investment, Universal was on the ropes financially more often than not. 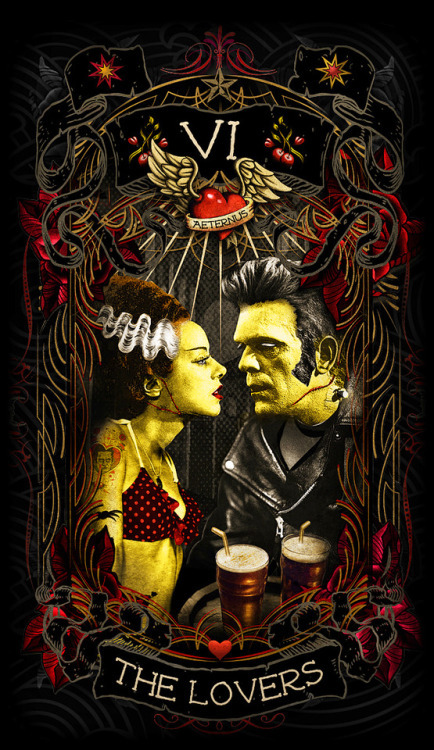 The 1930’s started well for the studio with “Dracula” and “Frankenstein” which were both released in 1931. But that success was not enough to staunch the flow of red ink. 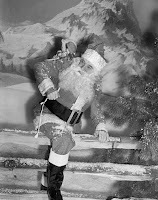 The Laemmles had to secure a loan to keep the studio going in 1935. Unable to repay the money they had to relinquish ownership of Universal to Standard Capital Corporation in 1936. 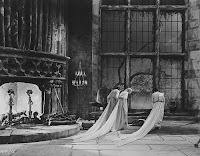 “Dracula’sDaughter”, which was already finished, was released in that year and became the last horror film Universal produced for 3 years. 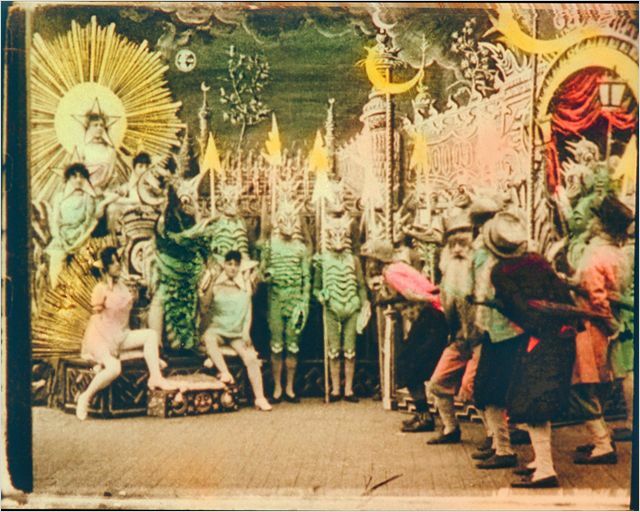 The new management decided to abandon horror in favor of comedies, musicals and westerns. 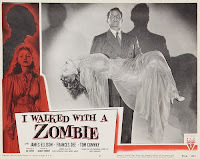 Dracula was out, Deanna Durbin was in. Hoping to wring a few more dollars out of their catalog, in 1938 they dragged out their two old time money makers – “Dracula” and “Frankenstein”- to a single Los Angeles theater on a triple bill with RKO Studio’s 1933 “Son of Kong”. In spite of low expectations the box office was sensational. Demand for tickets was so great the movies showed continuously almost 24 hours a day. 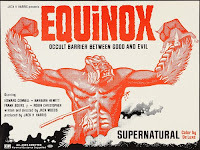 The studio then sent their two monsters on a double bill tour around the country, which was also an outstanding success. Lines were around the block, and box office records were broken. 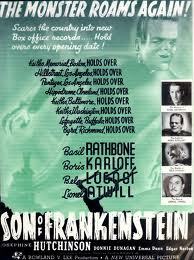 This was the long road which led to the production in 1939 of “Son of Frankenstein”. It was given an A-list cast and had outstanding production values. The generous budget for the film paid off. It was a hit, and that year ended with Universal in the black for the first time in ages. 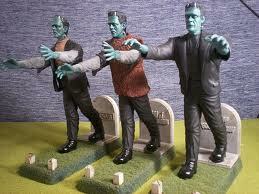 Thus, the second cycle of horror movies in the early 1940’s was started. 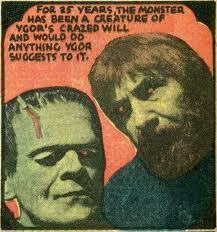 For the fourth time Universal teamed up their two reigning scare stars, Lugosi and Karloff. 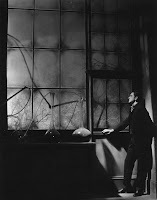 Peter Lorre, who was also making a name for himself with frightening roles in films such as “M” and “Mad Love”, was selected to play Dr. Frankenstein. 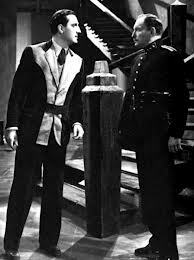 But Lorre declined to play any more madmen for the time being; so elegant, handsome Basil Rathbone was enlisted and received top billing. Until that time he had been playing suave, romantic leading men and swashbuckling bad guys for most of his career. The year 1939 also saw his first of 14 film appearances as Sherlock Holmes. 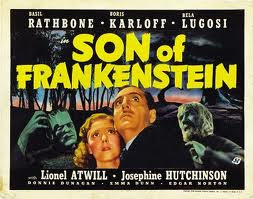 "Son of Frankenstein” is a fun, silly movie which also has some great moments. The story starts some years after “Bride”. Dr. Frankenstein’s previously unknown (to us) son is all grown up now and is returning to the old country with his wife and son to claim his inheritance. 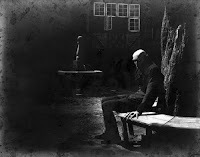 The inhabitants of the village of Frankenstein are not exactly happy about the return of the prodigal son and the town council meets to decide what to do about it. We get a lot of exposition in this scene. They are afraid that this Frankenstein will be “just as bad as his father, who created a monster in the devil’s own image”. 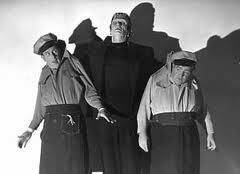 The townsfolk also would love to blame Frankenstein’s creation for the recent spate of murders, but the monster is dead…right? Don’t be silly, of course he is. 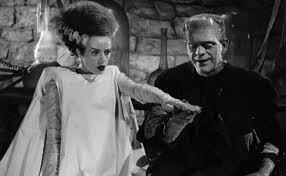 He was destroyed when the lab blew up at the end of “Bride of Frankenstein”. Meanwhile on the train speeding toward them, we meet the Frankenstein family - Wolf, his wife Elsa, and their young son Peter. Wolf is talking excitedly about the adventure that awaits them, and the new life they are starting. He complains about how unfairly his father was treated since the ignorant villagers blame him for the violence and murders in the past (with good reason!!). 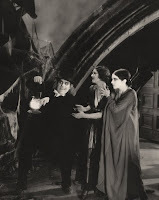 Rathbone delivers an amusing line acknowledging the popular habit, which must have started as soon as the first movie opened and continues to this day, of referring to the creature by the name of its creator. 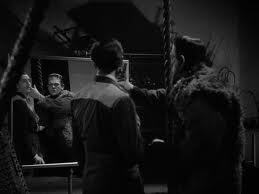 Wolf says to his wife, “Why, 9 out of 10 people call that misshapen creature of my father’s experiment…….” And then the conductor announces the next stop, “Frankenstein!" At the train station the villagers and town council are waiting in the pouring rain. The burgomaster has the keys to the family estate and some papers to deliver to Wolf. However, the mood is not a friendly one. Good natured, optimistic Wolf is confused by the cold reception they receive. “My wife and I and our son, we want so much to be your friends.” he says to the crowd as the villagers grumble and drift away. You and I know better. We know that there is a torch bearing mob somewhere in their future. I’m not going to go through the entire plot, I’m sure that you have caught the drift of it. 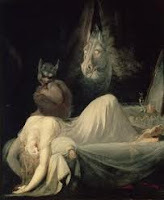 Suffice it to say that Wolf finds out that the creature is still alive and gets excited at the prospect of continuing his father’s experiment thereby clearing the family name. Naturally, Wolf is proven to be wildly, overly, and misguidedly optimistic. The family name will have to suffer its ignoble fate through many more movies. 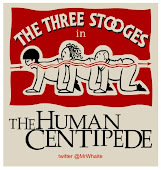 There are three big reasons to see this movie. 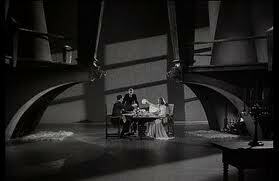 The first reason is to catch the remarkable set design which was influenced by German Expressionism. 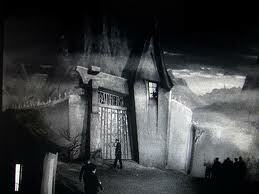 The strangely angled outside gate of the castle and street in front of it look like they could have come from “The Cabinet of Doctor Caligari”. Interior sets are scaled to gigantic proportions. The grand staircase is enormous; you could drive a car on it. Firelight throws strange distorted shadows on the walls. The cavernous rooms are ceiling-less and strangely under-populated with furniture, making large stark stages which seem to overwhelm the family with a dark mood of impending and inescapable doom. 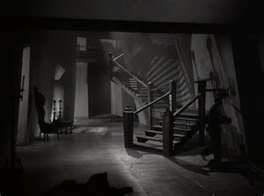 Between the set design and the cinematography, you could call the movie ‘horror film noir’. The second reason is this: If you have seen “Young Frankenstein”, but haven’t seen this movie, you need to do yourself a favor and rent it. Gene Wilder’s Dr. Frankenstein (“That’s Fronkensteen!”) character is a clever turn on Rathbone’s nervous doctor, especially in his most hysterical moments. Also, you will see the genesis of the one-armed inspector. The darts throwing scene is almost as funny in this movie as it is in Mel Brooks’ film. 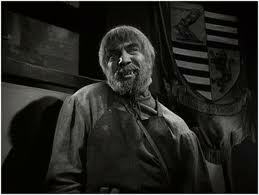 The third reason is to see Bela Lugosi’s fine performance as the broken necked Ygor. 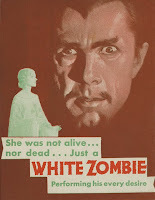 With his twisted body and grisly make-up Lugosi is almost unrecognizable. His distinctive voice is there but with more of a husky growl. 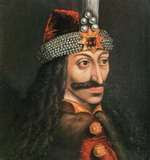 Believe me you won’t be thinking about Dracula when you see him. 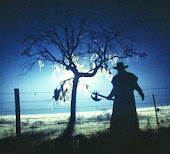 Ygor is the village outcast, convicted of graverobbing and hung for his crimes. He was pronounced dead, but he survived with a broken neck. He has been living in the ruined lab, found the creature and befriended him. 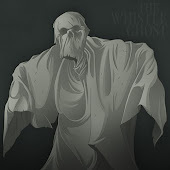 Ygor has been responsible for the strange murders in the village. He has used the creature to get revenge on the jury members who had convicted him. As Ygor says with a grin, “They die, dead! I die, live! Lugosi appears to be having a grand time with the part of Ygor. 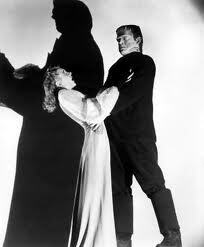 He steals every scene he is in and always upstages his co-stars, including Karloff. (I have to believe that it gave him some pleasure to do so.) He also has several great lines. 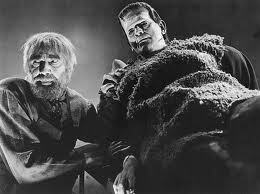 When he tells Wolf about the creature he says, “he….does things for me.” Ygor is called before the council as they try to find out what Frankenstein is up to. 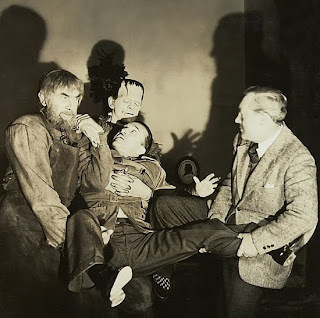 As Ygor is leaving the chamber he coughs loudly and juicily on one of the councilmen, “I’m sorry, I cough, you see bone get stuck in my throat.” Lugosi created a sly, vicious and completely fascinating character who happens to have had a tender spot for his large best friend. It’s hard to know where to start with Rathbone’s performance here. ‘Ham’ doesn’t begin to do it justice. This performance is cured, smoked and spiral cut. When we meet Wolf, he seems to be a little tightly wound, but is likable and sympathetic. 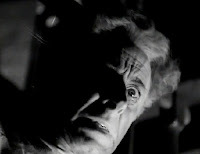 But after discovering the creature he doesn’t have another calm moment and gets progressively more nuts in each scene. Every time he speaks to his wife, or especially to the inspector, he acts guilty. Each twitch of his mustache and jerky head or body movement gives him away. Krogh should arrest him just for the overacting. However, it’s not all ham. Rathbone has an effective scene in the library when they first arrive at their new home. He reads his father’s letter, asking him to carry on the family work. Standing in front of a life size portrait of his father, which is a good likeness of Colin Clive, he raises a glass in toast to his memory as the thunder and lightening provide a menacing background and Ygor spies through the window. 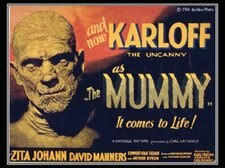 This was Karloff’s third and last movie appearance as the creature. 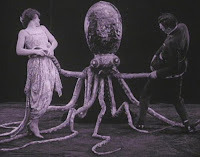 He was publicly unhappy with the decision in “Bride” to give the creature a voice, presciently afraid that this was the first step on the road to making him a joke. 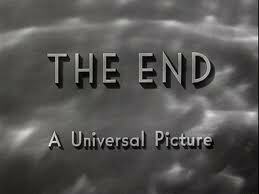 Perhaps Karloff was happy with the decision to return to the mute characterization in this film. But for whatever reason, he was convinced to perform the character one more time, and does so with his usual delicacy and pathos. 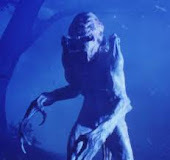 It would be at least two decades before another actor would play the creature with any depth or complexity. 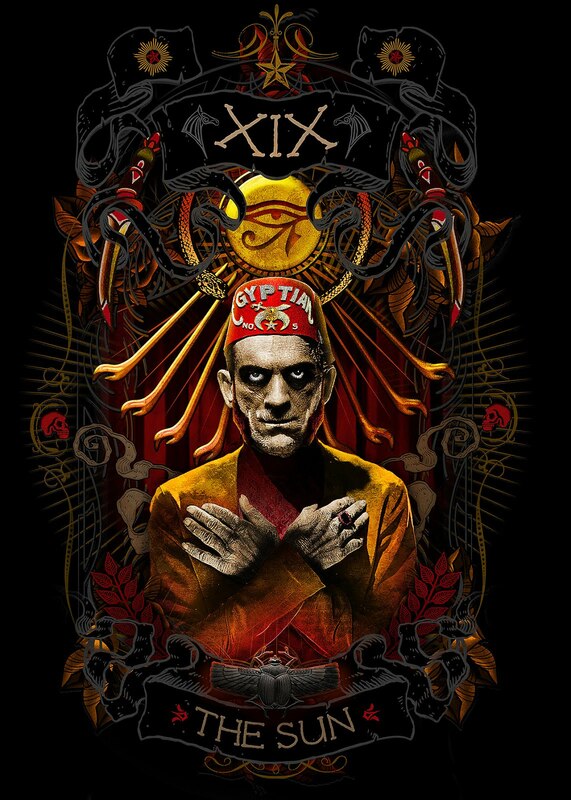 The progression of the character as Karloff played him through three movies is fascinating. 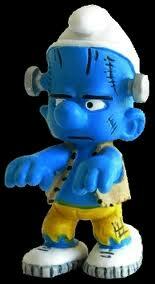 In “Frankenstein” he is an infant -- new born to the world, ignorant and curious. He first learns fear when Fritz taunts him with fire. His next lesson is abandonment by his creator. 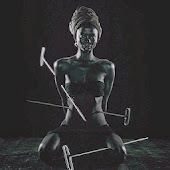 He experiences some tenderness with little Maria, but in his innocent attempt to share in the playful game, he kills her and learns another confusing lesson in loss. More betrayal by his creator drives him to rage and murder. In “Bride”, he starts with rage. His attempts to find some relief are met with violence from the villagers. During his one brief moment of solace with the blind hermit, he learns about friendship and love, not to mention the pleasures of wine and cigars. 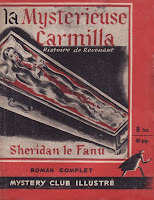 This interlude is interrupted and he finds refuge in the tomb where he meets Doctor Pretorius who puts the idea of a girlfriend to him. This brings us to a comparable point in the novel – the creature tells his creator that if he makes him a mate, he will disappear forever. 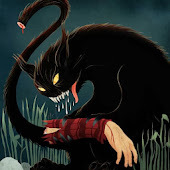 But in the film, (as in the book) things go from bad to worse, and he is rejected and hated by the one creature who might possibly have accepted and loved him. His one attempt at a date couldn’t have been a bigger disaster. 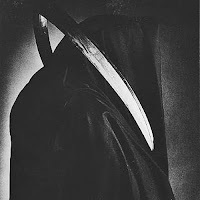 Most of us probably have ‘bad date’ stories, but at least I can say that none of my blind dates have screamed in horror at the first sight of me, or have preferred to be blown up rather than continue the date. It is no wonder that in “Son” he is not in a very trusting mood. 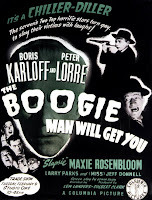 Unfortunately, Karloff doesn’t have a lot to do in this movie. 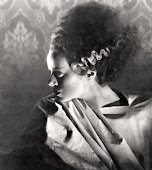 The creature is a secondary character to Rathbone, Lugosi and Atwill. 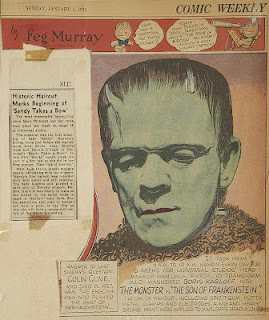 Although he is more of a murderer and henchman to Ygor this time, Karloff still gives a sympathetic, nuanced performance which allows us to have compassion for the creature. He has a touching scene when he finds Ygor’s dead body. At first he kneels beside him, holding Ygor’s hand and rocking back and forth in confusion. When he realizes that his only friend is dead he lets out a piercing, agonized scream. Wolf and the creature have an interesting scene together. 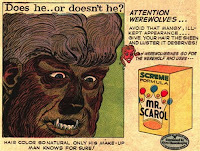 The creature sees the resemblance between his creator and Wolf. When the creature sees himself in a mirror, he waves the image away with disgust. He then pulls Wolf into the mirror reflection with him. He studies the difference between their faces with fascination, and finally with despair. 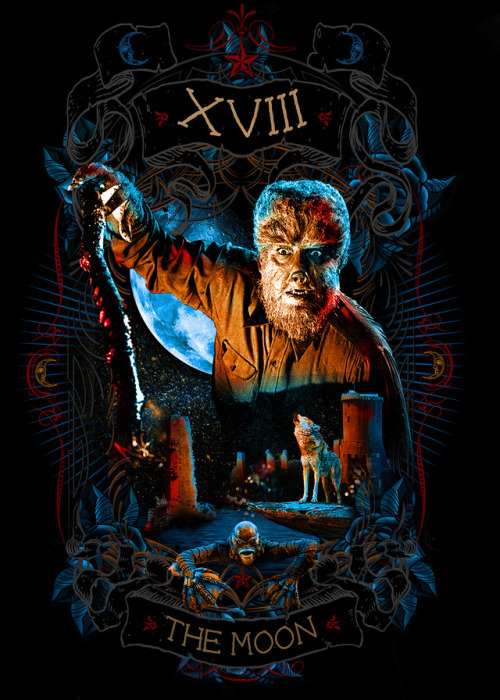 Ygor had remarked earlier that Wolf must help the creature because, “Frankenstein made him, and he was your father too!” Wolf answers, “Do you mean to imply then that ….. that …is my brother?” I suppose the “Son” in the title of the movie could be either Wolf or the creature. 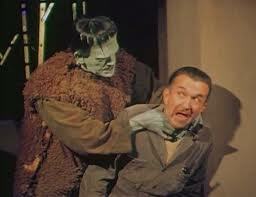 Universal’s monster maker Jack Pierce did the make-up once again. 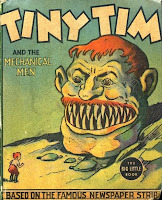 But the creature’s face looks simpler and not as gaunt or grotesque as the original. In each successive movie the make-up seems to devolve a bit more. It eventually becomes the familiar Frankenberry visage of many a cartoon and Halloween mask, proving that Karloff’s fear was correct. A hugely distracting problem with the movie is Donnie Dunagan’s performance as Peter, but I don’t think it was his fault. With his pronounced Southern accent he was badly miscast, and he seems to have been directed poorly. He shouts his lines, and could benefit from the use of subtitles most of the time. In spite of his curly golden locks he comes off as the most annoying child in the movies. I mean all movies. If there is another child actor who gives a more annoying performance, I don’t want to see it. Even though he is cute, every time I see the creature holding Peter over the sulfur pit I pray that this time he will go ahead and just drop him in. 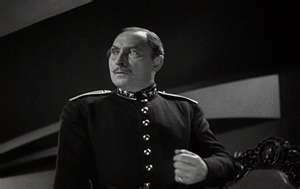 The wonderful Lionel Atwill is the calm center of this storm. His performance is restrained, and dignified. Inspector Krogh is the only person in the village who has any friendly attitude toward the family or much common sense. Considering Wolf’s strange behavior he has every right to suspect that something fishy is going on. When Wolf challenges him to present even one witnessed murder that could be blamed on the creature, Krogh does just that. He relates that when he was a boy the creature burst into their home, killed his father, and then tore the young boy’s arm out “by the root”. That explains his false arm. you probably have seen her before. Remember Hitchcock’s “North by Northwest”? Remember the beginning when Cary Grant’s Roger Thornhill is mistaken for the imaginary spy George Kaplan and is kidnapped by the bad guys? Remember when they take him out to that mansion in the country and James Mason questions him? Remember when the bad guys make Roger drink a bottle of bourbon and then put him behind the wheel of a car to kill him? 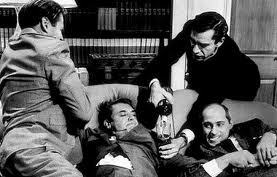 Roger Thornhill (Cary Grant) is being offered a drink by bad guy Martin Landau. Remember when he somehow manages to drive the car and is not killed but picked up by the police for drunk driving? Remember the next day when he takes the police back to the mansion? And remember the woman who answers the door and laughingly tells the police that – yes, dear Roger was at her party the night before and got bombed, and it was all her fault for not serving dinner sooner, and they were all so worried about him driving home? “Oh Roger, you didn’t borrow Laura’s Mercedes? ?” That’s Josephine Hutchinson. 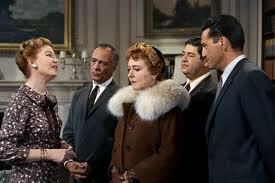 L-R: Josephine Hutchinson, Edward Platt, Jessie Royce Landis, Stanley Adams, Edward Binns. 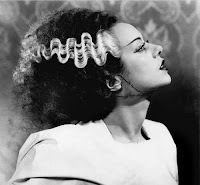 Elsa is one of the typical heroines of the horror films of the 1930s and 40s. They served to support their husband/boyfriend scientist in his work – in a general way of course, not specifically in the creation of monsters. They also served to move the plot along by being kidnapped, or threatened by the monster, usually when wearing something sheer. But this is not to say that they were completely spineless. The heroine almost always had at least a bit of moxie, especially in standing up for her loved ones, and sometimes even for herself. But mostly she was there to be supportive and to be rescued. 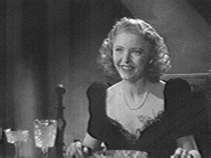 Evelyn Ankers needing to be rescued from Lon Chaney, Jr. in "Ghost of Frankenstein". 1. 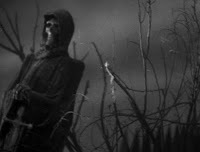 In the scene on the train, the couple are looking out the window and see nothing but dead withered trees and fog. She comments that the bleak country is “strange looking”. That is putting it mildly. It looks either like a-bomb testing grounds or the set for a Universal horror flick. When Wolf tells her how exciting their new life will be, she smiles bravely at this man who is taking his wife and child to the dark side of the moon. 2. Her initial reaction to their forbidding new home is bewildered shock and horror – again under a brave front. She asks him, “Do you really feel that you belong here already?” Seeing his evident pleasure and excitement, she demurs that it is all strange but exciting too. 3. The bedroom has two enormous double beds placed at an angle to each other, the headboards touching. 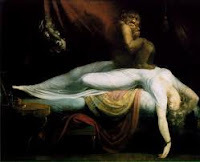 When she asks the maid why on earth they are arranged in this odd manner, the maid says…”If the house is filled with dread, place the beds at head to head”. 4. She remains unruffled even in the midst of all the worrisome goings-on; the missing butler, the murders in the village, her nervous wreck of a husband, Inspector Krogh hanging around constantly reminding her how much the villagers hate them and that an angry mob is probably forming at that very moment. 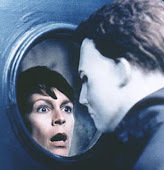 In one of the best unintentionally funny lines in any horror movie, when she asks one of the servants where the butler is, he answers, “We don’t know, madam. He went up to the nursery for the baby’s supper tray, and we haven’t seen him since.” That would worry me. It would worry me a lot. The fact that upon seeing and hearing all this, Elsa doesn’t grab their kid immediately and get on the next train out of town, is a touching testament to the amazing capacity of screenwriters to create female characters who were both incredibly supportive and completely insane. Throughout the movie Elsa continues to support her lunatic husband who quite obviously is having a nervous breakdown and endangering his family. 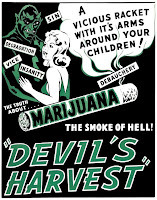 I realize that 1939 was a different time and place in our culture, but with this movie I hit a wall. Hey lady!! The clue bus is parked outside your door! Get your kid, get on it and get outta Dodge!!!! At the close of the film the villagers give the family a rousing send off at the train station, cheering and waving. They are either very forgiving of all those murders, or have extremely short memories all of a sudden. 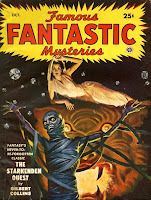 Or maybe they are cheering that the Frankensteins are finally leaving and the nightmare is over, unaware that the next train arriving will deliver Wolf’s younger brother in the form of Cedric Hardwicke to start the ball rolling again in “Ghost of Frankenstein”. 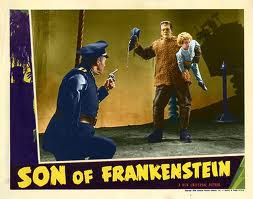 At ninety-nine minutes, “Son of Frankenstein” is a bit too long. It starts to drag about one hour in, partly because there are too many scenes of Krogh and Wolf talking about the plot…again. But in spite of a few problems it is a lot of wacky fun. 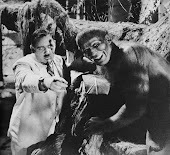 ...with the creature reduced to a gag in “Abbot and Costello Meet Frankenstein”. Karloff and Jack Pierce clowning around. And as you have seen, instead of his usual tasteful black ensemble, the creature is made to wear a ridiculous fur vest which makes him look a bit like Sonny Bono circa 1965. What the…………? Some forced perspective is used to make the creature appear to be larger than he is. 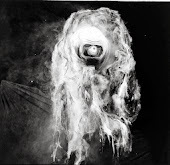 For example, the creature is stretched out on a palette directly in front of the camera when Wolf first sees him. This increases his size in relation to Wolf who is approaching from upstage. 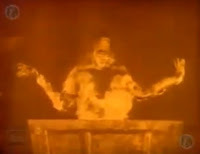 The same effect is used when the creature is on the operating table. When standing beside Wolf or Ygor he does not appear significantly taller than either of them. This is the second time the creature sees his reflection. 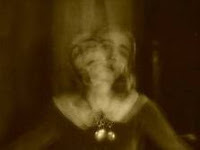 In “Bride” he leans over to take a drink from a pond and sees his face in the water. Upset with his distorted features, he agitates the water trying to erase the image. Here he makes a similar gesture when he stands in front of the mirror in the lab. Wolf repeats a line his father spoke in the first movie. 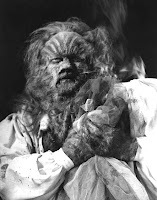 When Ygor shows him the creature for the first time, Wolf cries out “it’s alive!” when the creature moves his hand. His father, Henry Frankenstein cried out “it’s alive! It’s alive! 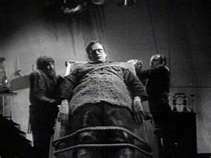 !” when the creature was brought to life and moved his hand on the operating table. Michael Mark appeared in many movies. 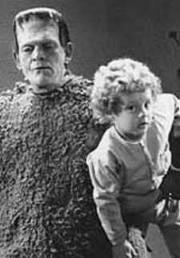 But in the horror genre he may be most familiar as Ludwig, little Maria’s father in “Frankenstein”. He also played small parts in “Mad Love”. 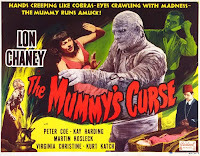 “Tower of London”, “The Mummy’s Hand”, and “House of Frankenstein”. 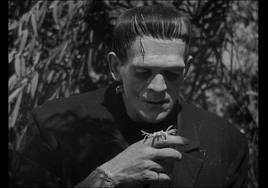 In the latter he plays a similar character to the one here, even though he was killed by the creature in this film. 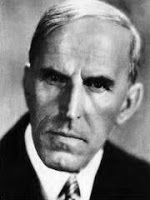 Gustav von Seyffertitz was born in 1863 in the German state of Bavaria. 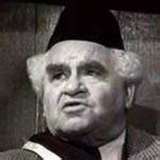 He started his acting career in silents, and did well in sound in spite of his thick accent. His sharp features and heavy brow usually typed him as the heavy. 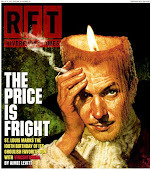 Dwight Frye was cast as a villager, but his scenes were not used in the film. 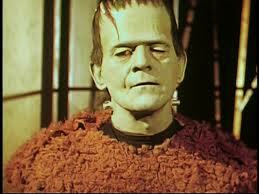 This means he lost out on being seen in all of the first five Frankenstein films for Universal. 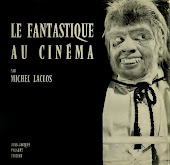 He appears in “Frankenstein”, “Bride of”, “Ghost of” and “Frankenstein Meets the Wolfman”. 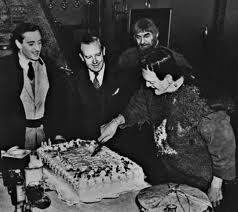 During filming Karloff celebrated his 51st birthday which coincided with the birth of his daughter Sara Jane, making him a first time father. 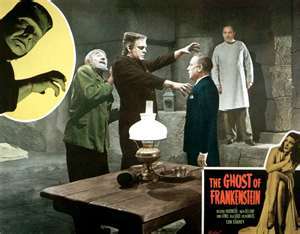 Though Boris Karloff did not appear again as the creature on film, he did perform the role one more time on television. 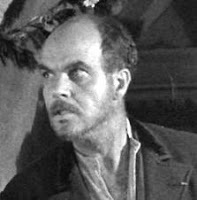 The Route 66 episode, “Lizard’s Leg and Owlet’s Wing” feature Karloff with Peter Lorre and Lon Chaney, Jr., as well as Martita Hunt (“The Brides of Dracula”). It’s adorable, check it out.